When you experience a missing tooth, it can come as a shock. It feels different, and perhaps more significantly, it can significantly alter the look of your smile. 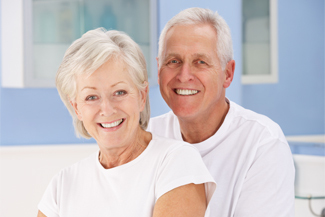 Here at The Old Windsor Dental Practice, we offer dental implants that will restore your smile and provide many long-lasting benefits to your oral health. Going for dental implants doesn’t just boost your confidence in your appearance, it’ll put faith back into the ability and health of your teeth. The teeth work as a set, and when one is missing, it can risk weakening the remaining teeth. Going for dental implants in Windsor can improve your ability to chew and properly digest food, prevent problems with your surrounding teeth, avoid a ‘shrunken jaw’, and generally improve your oral health and overall well-being. Why dental implants over other treatment? They provide a long-lasting solution, lasting upwards of 25 years. How to dental implants work? The tooth: finally, the crown is placed on the tooth by means of an abutment. It is made to match the rest of the teeth in size, shape, and colour.